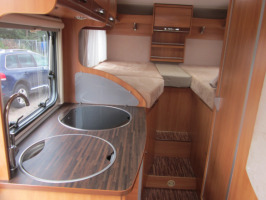 Luxury and comfort, which is the Hymer. Spacious inside yet compact dimensions, rear air-length beds. Fully equipped for a wonderful holiday. 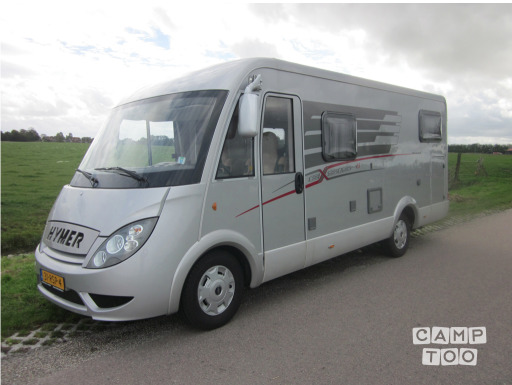 The classification of these silver Hymer have a camper that suits your needs, equipped with bike rack and a large garage. A good night's sleep is important as well as a relaxed seating. The beds and chairs are perfect. Complete kitchen inventory for 4 people. Fully equipped camper. In July and August the permanent collection and inleverdag Friday. Handing cleaned with a full fuel tank and inside. Outside we clean. On departure, we provide a clear statement, it is also in the information folder of the camper. Of course, the motor can be visited without obligation. Price incl. Full insurance. Your car can be parked by us.